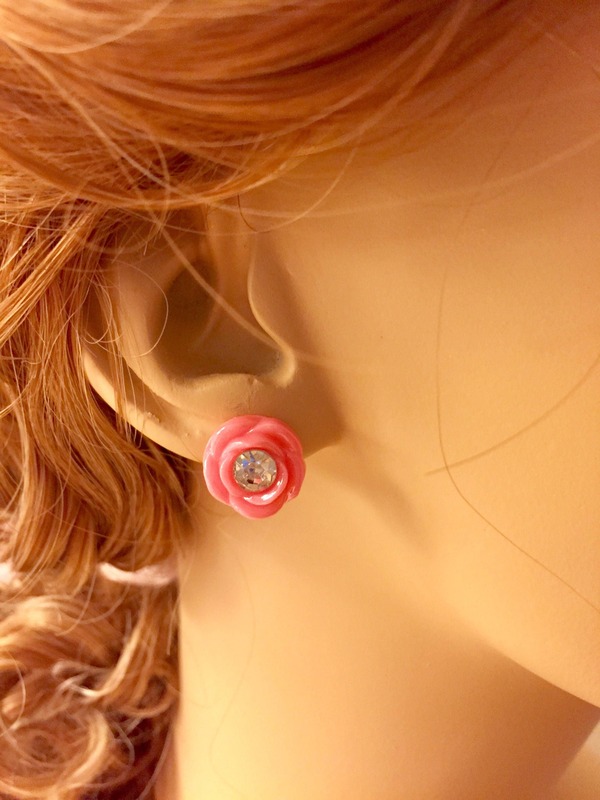 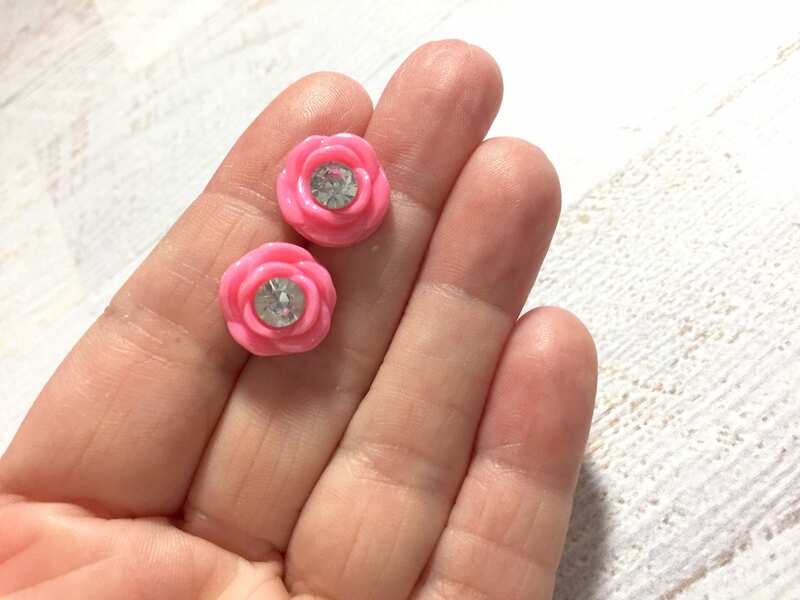 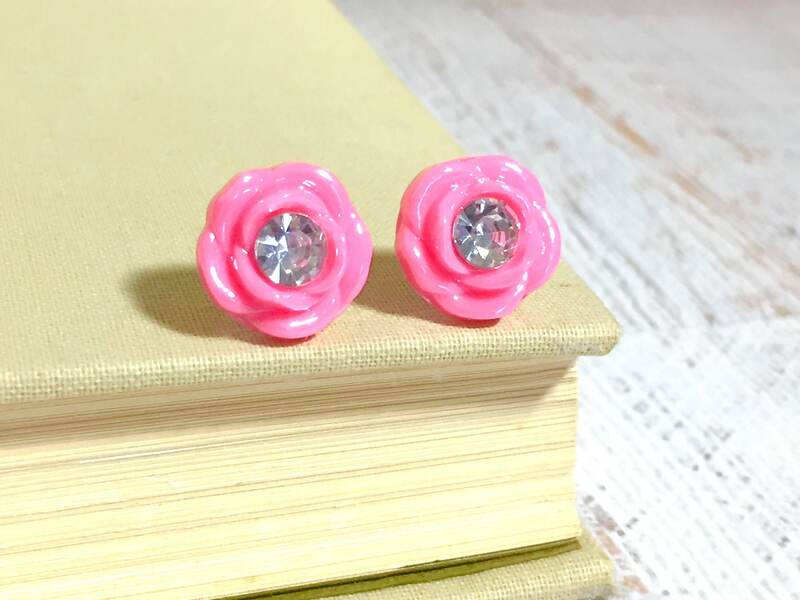 I made these lovely earrings with acrylic detailed flowers with a shiny coating and a big glass rhinestone center. 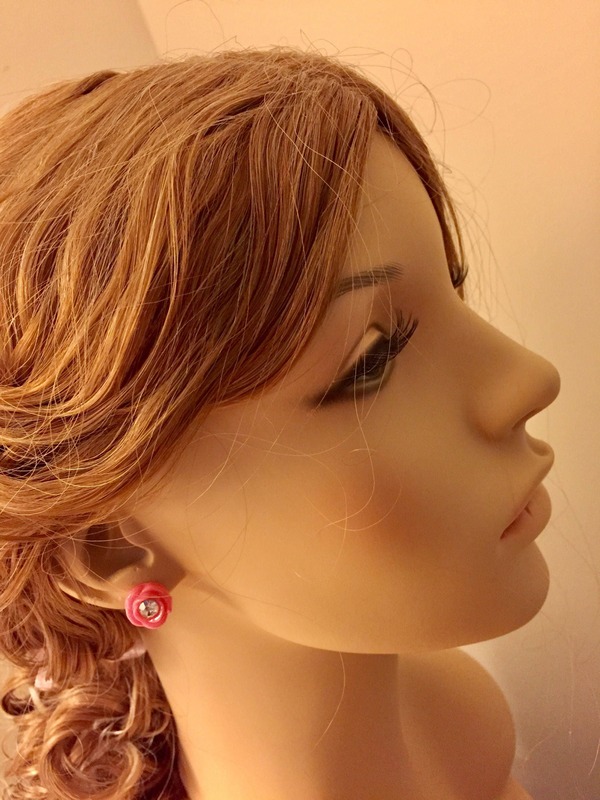 These earrings measure just over 0.5 inches in diameter (13mm) and are finished with surgical steel ear studs. 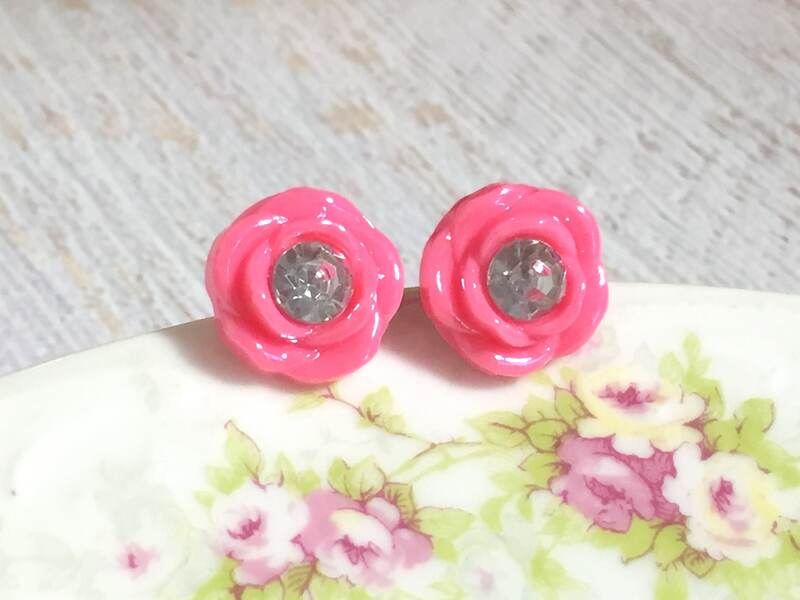 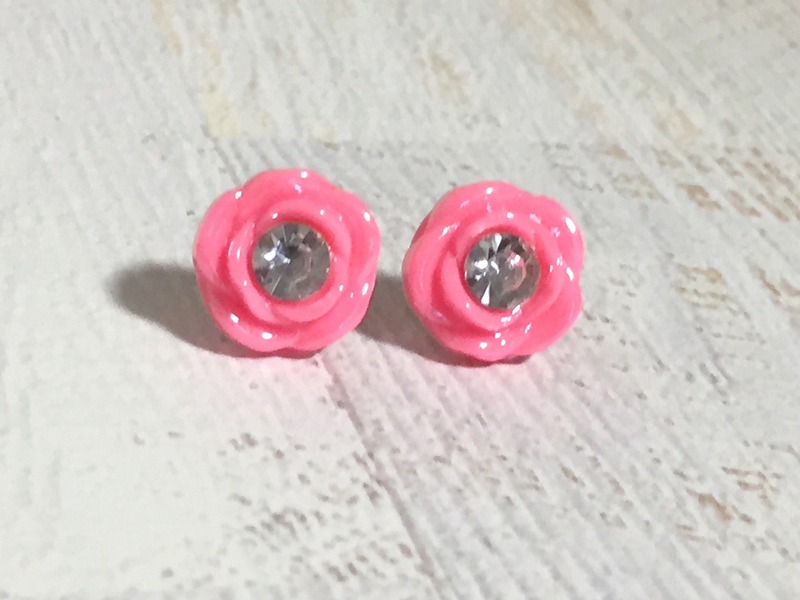 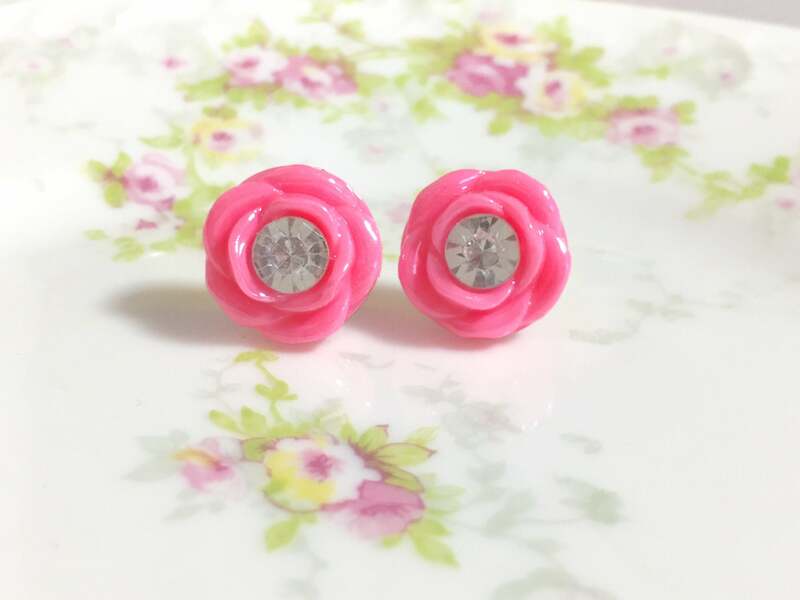 PLEASE NOTE: All stud earrings are MADE TO ORDER so please allow up to 72 hours for me to make your earrings prior to shipping.